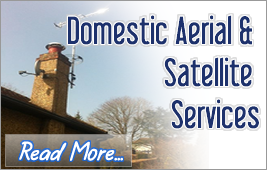 We specialise in aerial & satellite domestic & communal systems - Please feel free to call us on 0800 387 706. 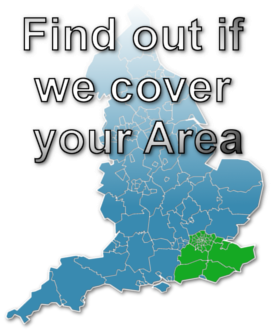 Serving Kent, Greater London, East Sussex, Surrey and West Sussex for 60 Years. 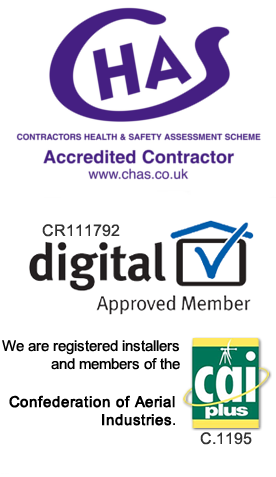 We specialise in Freeview upgrades and installations as well as providing a comprehensive service to the commercial sector covering IRS (integrated Reception System) & communal aerial and SMATV (Satellite Master Antenna TV) installations. 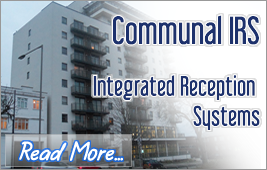 Whether you have a requirement for a single domestic aerial through to a full communal system in an hotel or block of flats we can help. 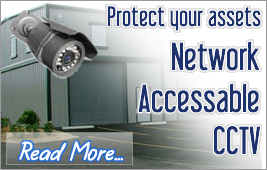 We supply and install aerials, dishes, receivers and distribution equipment for Freeview, Freesat and Sky. So if you need to upgrade your aerial or satellite dish to receive digital Freeview or Freesat TV or you require a complete installation in your apartment block call us FREE today for a no obligation chat and see how easy we make it for you to get the quality reception you desire.